Come experience this new dynamic aquatic attraction! Featuring “walls of water” representing distinct regions of the biosphere: Tropical Coral Reef; Pacific Kelp Forest; Southeast Asian Freshwater Habitat; Atlantic/Caribbean Sea Life. 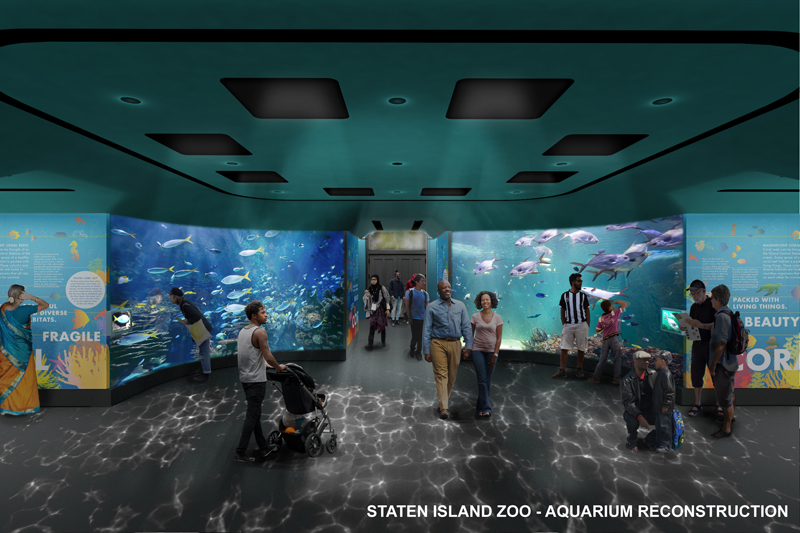 Most importantly, the new Aquarium enhances the Zoo’s commitments to education and conservation, as we work together to meet the challenge of protecting our oceans, lakes and rivers for future generations. The generous funding was developed and supported by Mayor Bill de Blasio; NYC Department of Cultural Affairs; Borough President James S. Oddo, and City Council Members Steven Matteo and Debi Rose.